It’s FREE just show UP - Sunday March 24th to get the latest wedding trends, ideas, and expert advice from Wedding Professionals at BED BATH & BEYOND’s “Wedding Registry” Bridal Event, https://www.bedbathandbeyond.com/store/registry/rockyourregistry. Sunday 7:pm - 9:pm - at 400 Crossroads Boulevard, Cary, NC www.bedbathandbeyond.com There will be discounts through-out the entire store exclusively for engaged couples only, come hungry as food (buffet) will be catered and wine will be served. As the premier Entertainment Vendor at the Bridal Event we welcome all newly engaged couples or anyone planning a very special event to come out and meet our Team, spin our "Money Wheel" to receive up to $200 off any DJ Package, Photography package, or Photo Booth! Plus, you can meet several other wedding/event professionals within the industry from Florists, Planners, and Snap Shot Photo Booth will also be in attendance ready to supply plenty of laughter! Feel The Sound Productions, (about-us) with Music In Motion DJs, (website) Home of The DJ/MC Interactive SHOWROOM, which is a “real” experienced Disc Jockey wedding/event TEAM, supplying Karaoke, (Sing-A-Song-or-Sing-Along) Décor LED ambient wall up-lighting, (photo-gallery) our specialty DRY-ICE “dancing on a cloud” for the Wedding First Dance, together with Feel The Moment Photography, (packages) and PHOTOBOOTH, Snap Shot Photo Booth entertainment company is your one stop shop for the Best DJ/MC Entertainment, Professional Photography, Fun Photo Booth, our elegant Decor LED Wall Up-Lighting, as well as rentals of all kind including but not limited to; Dance Floors, sound systems, and lighting. 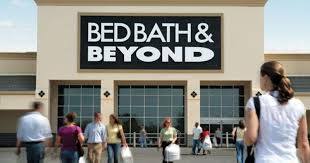 Again the Bridal Event this Sunday is FREE, just show UP, Bed Bath and Beyond, Cary! FACEBOOK - be sure to LIKE us:-) Daily BLOG: http://www.feelthesoundwithmusicinmotion.com/blog Music In Motion DJs BLOG: http://musicinmotionblog.wordpress.com PINTEREST CONTACT-US VISIT-US To see the other current Blogs/Post happenings scroll down past the ads/hash-tags.